Teen Mom 2 star Jenelle Eason is no stranger to sparking the imaginations of conspiracy theorists, thanks in large part to her adamant denials about some things in the past (pregnancies, break ups, drug use, etc.) that later turned out to be true. Once again, the controversial reality star is sparking speculation from the collective hatter imagination due to her mysterious, and apparently unplanned, cross-country road trip after she and her husband David flew out to California more than a week ago. The exact timing of the couple’s arrival in California is unclear, but they were definitely there on November 9 when Jenelle had her makeup done and posed for some professional photos that look to be for her cosmetics line. Soon after that, the couple’s impromptu cross-country trip began. On November 11, Jenelle posed for numerous photos at Sequoia National Park in California. That may have just been a day trip and hike, however, because it was three days later before she and David arrived at the Grand Canyon — which is less than ten hours from Sequoia National Park. 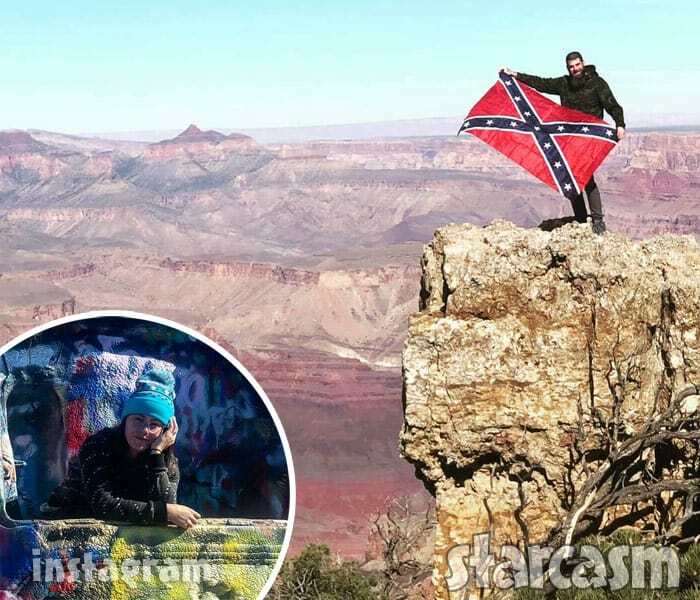 After the Grand Canyon, Jenelle and David’s journey took them to Cadillac Ranch in north Texas, as well as another stop in Nashville, Tennessee. It appears that the couple was back home on The Land by November 17. • A little over six months ago, Jenelle left a scathing review for a doctor who is part of the New Hanover Medical Group in Jenelle’s area of North Carolina. Jenelle states in the review that she missed an appointment, and as a result she says “I received a letter from the ENTIRE NHMG that says I cannot go to any of their doctors and they terminated me. This means now almost 20 doctors around my area I cannot see for primary or specialist reasons because Dr. ****** terminated me from his office.” Hatters were quick to suggest that perhaps Jenelle had been blacklisted for doctor shopping or otherwise abusing her prescriptions — which is purely speculation, but not a hard concept to sell. Might not be able to fly for the rest of my life, seriously heartbroken. There’s so much more in life for me to see. I don’t want to stop here. ? Esophageal Spasms 🙁 No one knows why it happens. 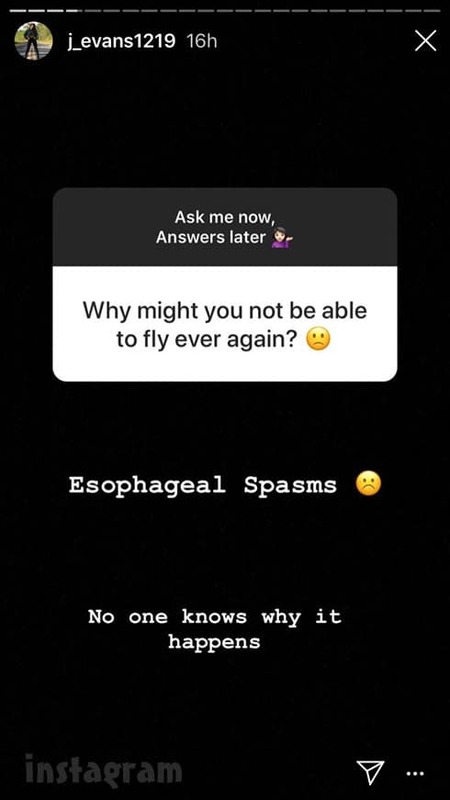 I Googled esophageal spasms and any indication that having them might prevent someone from being able to fly, but I could find no solid connection online. That being said, they do sound like they can be VERY bad, essentially mimicking the symptoms of a heart attack — so clearly that isn’t something you would want to go through, or put airline staff through, while on a flight. I should also point out that Jenelle and David are homeschooling his oldest daughter Maryssa. It’s unclear who handled those duties — as well as the parental duties for Kaiser and Ensley, while the couple was on their more-than-a-week trip. “If you’re a bird, I’m a bird.” ?? Ever been to the #CadillacRanch ? ?? ?